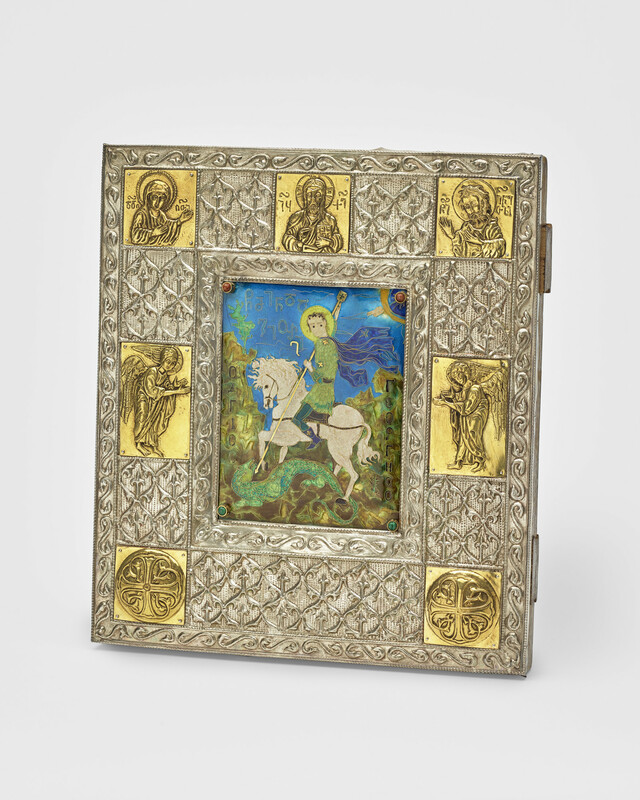 Enamel picture of St George on a white horse slaying the dragon in a green hilly abstract landscape containing cyrillic letters. Four studs in corners of enamel, top two containing goldstone cabochons and bottom two with malachite cabochons. White metal frame decorated embossed foliate and scroll design. Frame with three square gilt reserves containing saints along top, two rectangular reserves containing angels on either side of enamel and two square reserves containing circular shields in bottom corners.